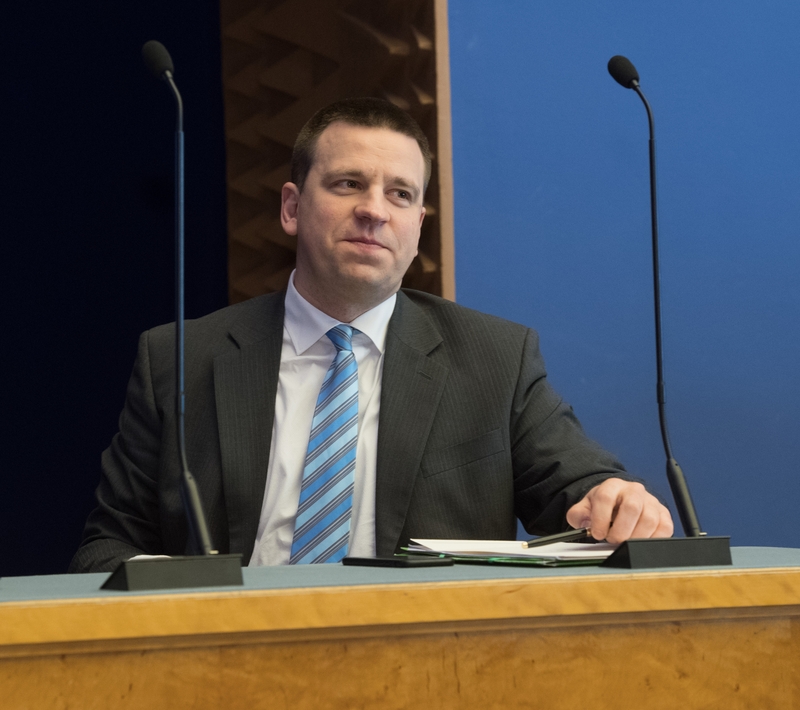 Prime Minister Jüri Ratas replied to the interpellation concerning defence investments (No. 396), submitted by members of the Riigikogu Ants Laaneots, Jüri Jaanson, Valdo Randpere, Aivar Sõerd, Deniss Boroditš, Urmas Kruuse, Jürgen Ligi, Lauri Luik, Madis Milling, Urve Tiidus, Uno Kaskpeit, Henn Põlluaas, Raivo Põldaru, Arno Sild, Jaak Madison, Kalle Palling, Kristen Michal, Remo Holsmer, Meelis Mälberg, Arto Aas, Johannes Kert, Igor Gräzin and Kalle Laanet on 14 November. The interpellators wished to get answers to several questions relating to defence spending in the deteriorated security situation and in the circumstances of the improved economic environment. In Ratas’s opinion, it is a great value that there has been an overall consensus approach, across political parties, in defence policy in Estonia ever since Estonia restored its independence. “This is, I think, a very great value in itself,” the Prime Minister said. Ratas said that the Government did not cut and had not cut Estonia’s defence capability. 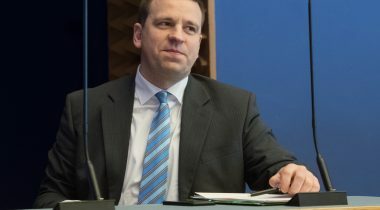 “On the contrary, we can say that Estonia has drafted the largest defence budget of all time as regards this year’s defence budget – of course, thanks to the Riigikogu, and the budget that you passed –, where the defence budget amounts to 524 million for the first time, and also exceeds half a billion for the first time,” the Prime Minister said. Ratas noted that the Government aimed to contribute in every way to the strengthening of Estonia’s defence capability, and its sustainability. The defence budget is comprised of three components. The first of them is the development of independent defence capability, that is, the implementation of the National Defence Development Plan. For that, we use 2 per cent of gross domestic product, which means 490 million euro this year. Second, investments into the infrastructure constructed for the allies amount to 18 million euro this year, and the operating expenses related to hosting the allies amount to 6 million euro this year. Ratas also explained the background of the problem related to the 10 million euro. The sitting Government has established a separate defence investments programme which totals 60 million euro in 2018–2020. In this year’s budget, this means 10 million euro. “In connection with the transition to the accrual-based state budget, a wider question arose at the end of 2017 as to the amount of the payments from the defence investments programme in 2018 and 2019,” Ratas said. “Although the questions brought up eventually hampered the whole proceedings on the state budget, the Government made a fundamental decision in connection with the defence investments programme at the end of last year, on 7 December. We decided that, if necessary, we would allocate additional 10 million euro from the targeted fund reserve of the Ministry of Finance to the Ministry of Defence for the procurement of ammunition in 2018,” the Prime Minister noted. He confirmed that, in the case when the relevant procurements and their processes would take place faster than expected and, as they progressed, it would be possible to contribute to our defence activities, already this year, another dozen million would be added to that 10 million. “So we cannot speak of a Government’s decision to cut the defence budget, because the defence budget continues to account for over 2 per cent of gross domestic product,” the Prime Minister said. Ratas also replied to the interpellation concerning Estonia’s participation in the new migrant redistribution plan (No. 408). The Minister of Culture Indrek Saar replied to the interpellation concerning the positions of the Minister of Culture on the developments in the foundation “Narva Museum” in 2017 (No. 401).